Love Wild Horses® is creating a new life saving, eco-friendly and permanent water spring to save 400+ Deer Springs wild horses from drought. This Water for Wild Horses Project installation is scheduled to begin in early April. This past July, just 6 months ago, Love Wild Horses (LWH), presented a natural, compassionate sustainability design, to ease suffering and improve the survival for our wild horses to the Bureau of Land Management’s Elko, Nevada, District Office. An agreement was reached, and Love Wild Horses is now creating and securing needed drinking water for the Deer Springs wild horses, so that they can survive the coming drought. Love Wild Horses’ Public Relations Manager & Nevada Boots on the Ground, Jeanne Bencich-Nations, has been closely monitoring the Deer Springs water source and presently reports that the horses have just enough water, but with not much rain in sight and a dire drought forecast, the timing to launch this Water for Wild Horses Project is happening at the perfect time. 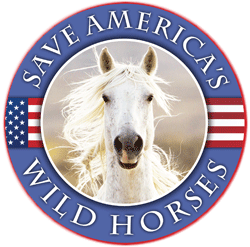 This agreement to bring water to the wild horses was successfully reached in one of the most challenging parts of our country, the Great Basin Desert, in the heart of cattle, sheep, oil, mining and ranching interests. Excellent so glad to see this proactive provision of water for the wild horses and other wildlife! So much has been stolen from them. Now it’s time to give back to them! A fine example of how concerned citizens can and do make a difference for our wild horses. We need more such initiatives, and less maltreatment of both our wild horses and our taxpaying citizens. Do you have 2018 calendar? What is the process for donations?